Since 2010 I’ve been experimenting with pumpkin panna cottas – while most tasted alright, they never turned out the way I wanted. Even the mold seen here turned out strange – notice how some cream separated from the pumpkin? Oh well – it still tasted good. 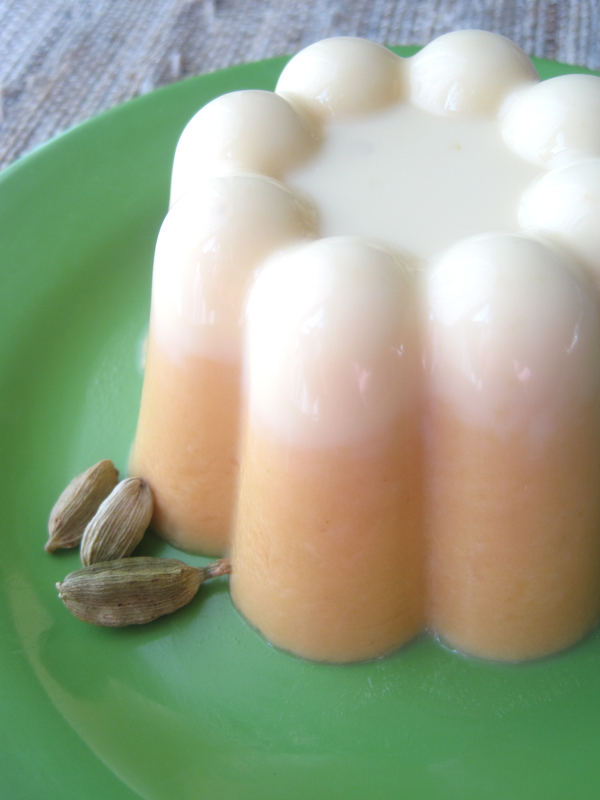 I finally decided to let go of my nagging pumpkin panna cotta perfectionism and post my favorite – Cardamom Pumpkin with Cognac. 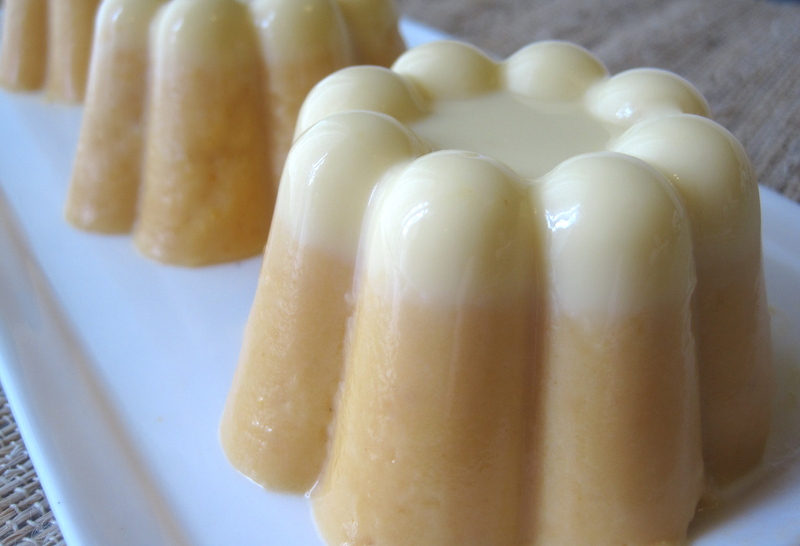 To create this mold, I adapted this Mark Bittman recipe published in the New York Times by adding a cardamom simple syrup and cognac. By the way, have I mentioned how much I adore cardamom? 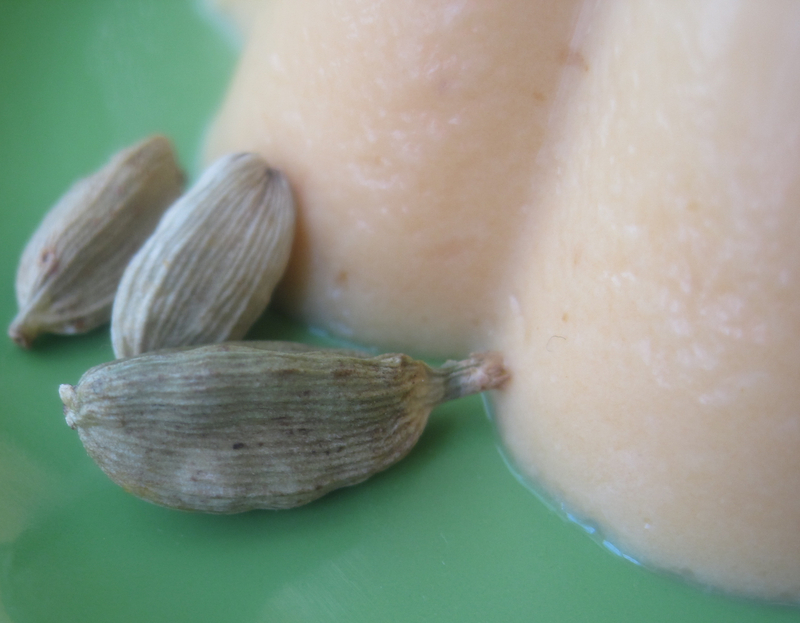 It’s a shame many American’s have yet to discover what South Asians have known for centuries – cardamom is a distinctly lovely spice that takes deserts to an entirely different level of, well, spicy fantasticness. The combination of cardamom, pumpkin, cream, and cognac tasted like a unique boozy pumpkin pie without the crust. Combine water with sugar in a saucepan and bring to a low boil. When the sugar is dissolved, remove from heat and add cardamom pods. Cover pan and let sit overnight. In the morning strain the syrup and store in an air-tight container in the refrigerator. In a medium-sized bowl, sprinkle the packet of gelatin on top of ¾ cup milk. Set aside for 5 minutes. Using a blender, blend the cardamom simple syrup, cream, pumpkin, and cognac. After blending, put mixture in a small saucepan over medium heat (Do not boil). Once steam starts to come off of pumpkin mixture, pour the mixture into the bowl with gelatin and milk. Stir until gelatin dissolves. Pour into mold(s), and refrigerate until set, at least 4 hours. So many Halloween gelatin possibilities, and so little time… Here’s a re-post of past deliciously disgusting boozy gelatin molds. Needless to say, Halloween is a fantastic time of year for gelatin molds. My goal was to create tasty (but disgusting looking) desserts from scratch using no food coloring. Overwhelmed with yummy/revolting possibilities, I only had time and money to pull off a few. Except for the Bloody Mary heart (which tasted bland to me), they were a hit at parties. These great Halloween molds can be found on ebay. Put 1 cup of water in a large bowl and sprinkle gelatin on top. Set aside. Put water in a saucepan over medium heat and bring to a low boil. Remove from heat and add to the bloomed gelatin. Stir until gelatin dissolves. Stir in raspberry purée, sweetened condensed milk, and cognac. Pour into mold(s). Put in refrigerator until set, at least 4 hours. To remove gelatin, put mold(s) into a bowl or sink full of warm water for a few seconds. 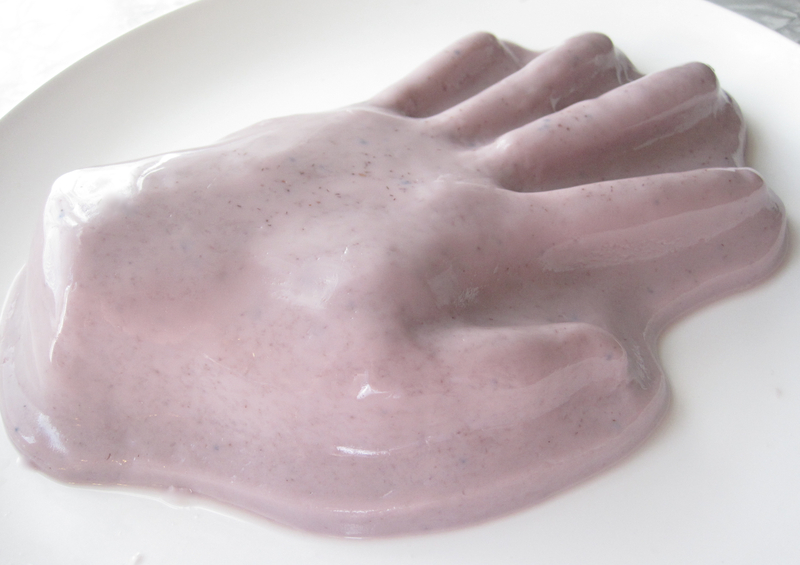 After removing from water, gently shake the mold side to side. 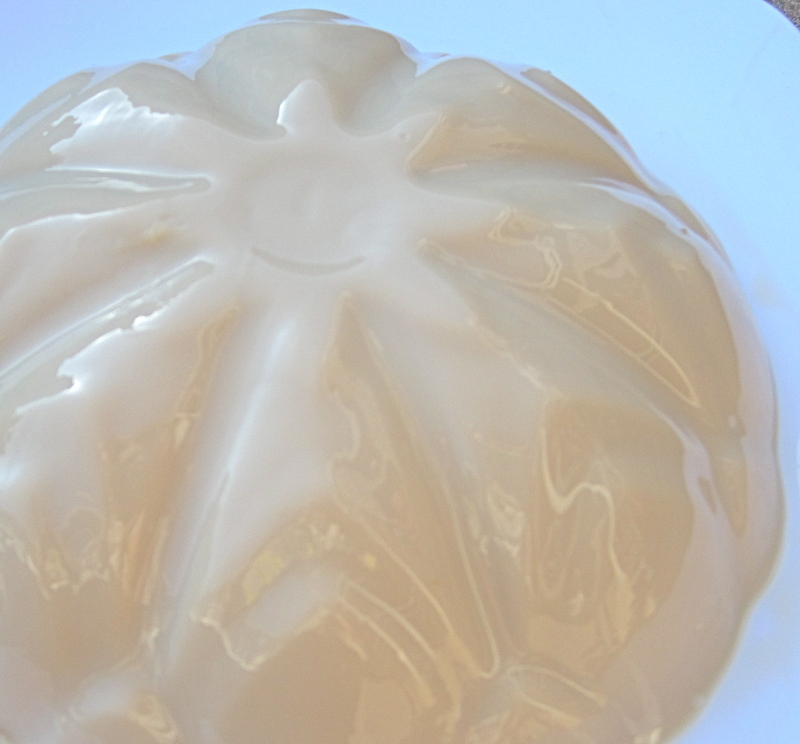 When the gelatin jiggles away from the edges of the mold, put plate on top of mold and flip over. If gelatin does not come out, try repeating the process or run a knife around the edge. 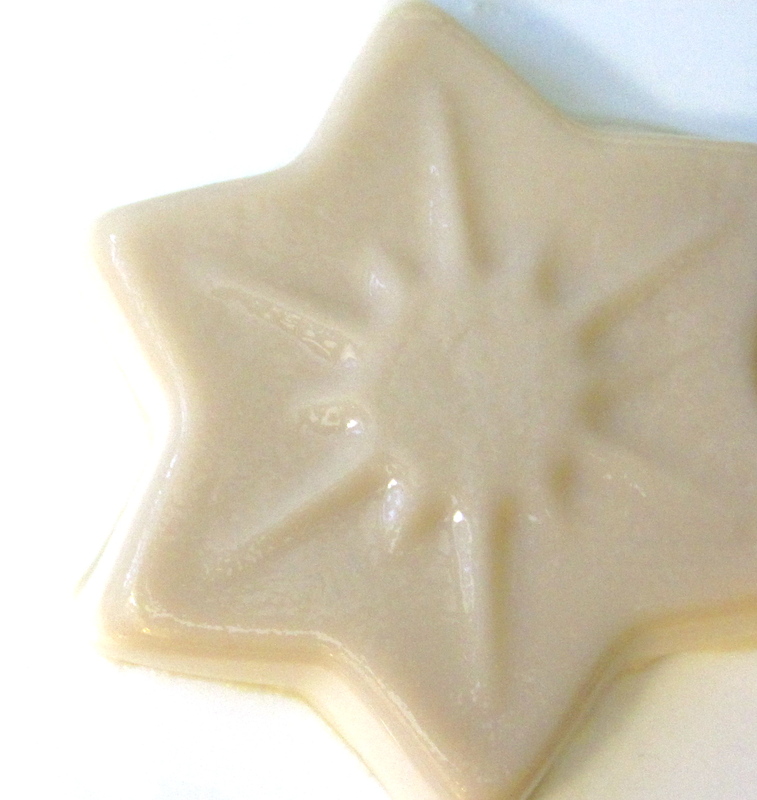 Be careful not to melt or damage the gelatin in the process. Combine raspberries, cornstarch, sugar, and water in a small saucepan over medium heat. Stir until syrup thickens. Strain. Spoon over set gelatin mold. Put 1/2 cup of vodka in a small bowl and sprinkle the packet of gelatin on top. Set bowl aside. Put water and lemon juice a saucepan over medium heat and bring to a low boil. Remove from heat and add lemon zest. Let stew for 10-minutes. Strain and add to the vodka and gelatin. Stir until gelatin dissolves. Stir tomato juice, Worcestershire sauce and tabasco sauce. Pour into mold(s). Refrigerate until set, at least 4 hours. For blooming, put ½ cup of water in a large bowl and sprinkle gelatin on top. Set bowl aside. Put water in a saucepan over medium heat and bring to a low boil. Remove from heat and add to the bloomed gelatin. Stir until gelatin dissolves. Stir in blackberry purée, sweetened condensed milk, crème de mûre, and vanilla. Pour into mold(s). Put in refrigerator until set, at least 4 hours.